We appreciate the opportunity to provide the best possible customer service while creating your dream space!! To show our appreciation, we are giving you an exclusive $1,000 Voucher to use towards any of your Allowances or future Upgrades. 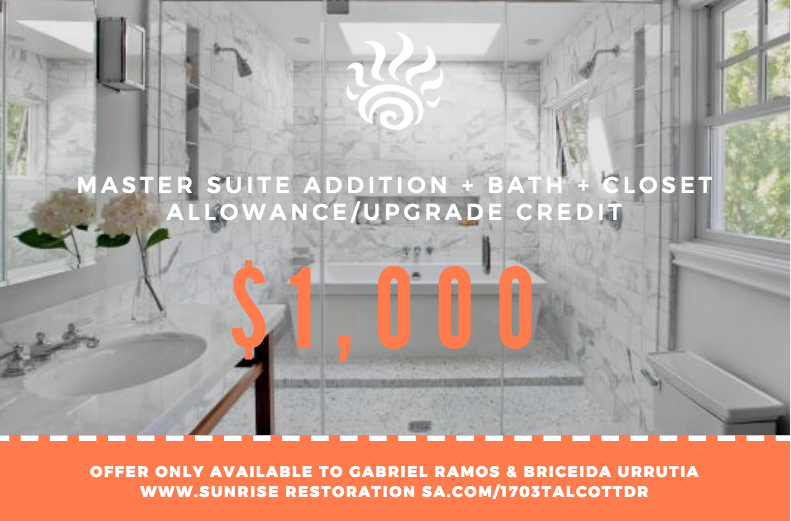 This offer is valid 10 business days from reviewing the written Remodel Proposal and upon receiving a signed agreement to initiate work on your proposed project. 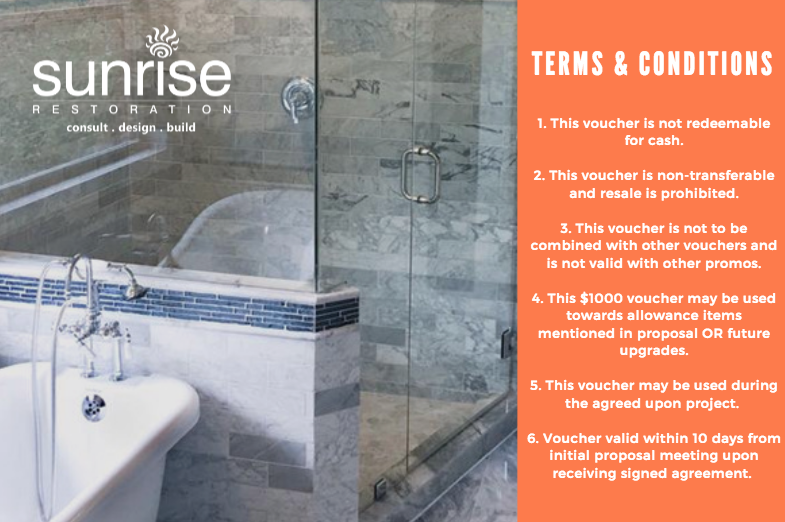 Be sure to look at the attached Voucher for Terms and Conditions. We look forward to hearing from you soon!